Monoprice recently showed off the line of gear at the CEDIA show in Dallas. The coolest items might just be the two new pairs of super-affordable planar magnetic headphones. Planar magnetic headphones are all the rage with audiophiles because they offer low-distortion sound that tends to be very accurate and clear. They also tend to be very expensive, running from several hundred to several thousand dollars. Monoprice has two planar magnetic configurations, the Monolith M560 and the Monolith M1060. The M560's are just $200, which as Digital Trends notes, makes them some of the cheapest planar magnetic headphones the world has ever seen. The M560's have replaceable ear pads and a removable wood exterior to switch between open-back and closed-back. 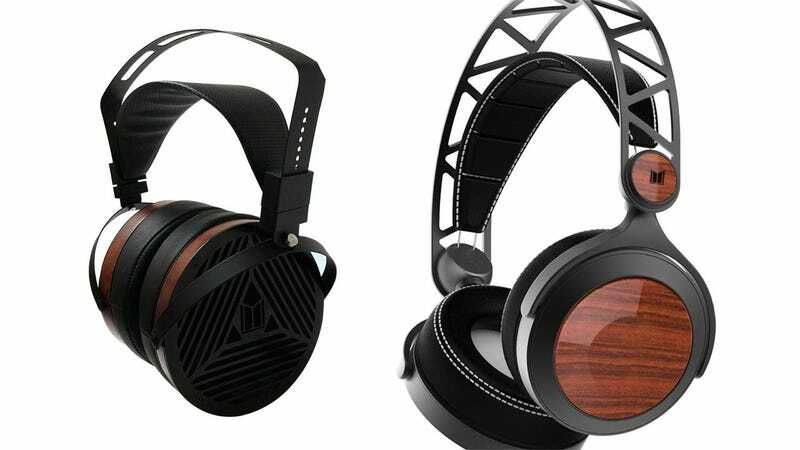 The beefier M1060's are full size open-back headphones that Digital Trends compares to $3000 offerings from Audeze and Oppo. But these will sell for just $300, which is also ridiculously cheap. The M560s are available for pre-order now and ship October 30th. There’s no date on the M1060's but expect them sometime this fall. In addition to the headphones, Monoprice is also releasing some affordable home theater speakers and amplifiers. The Monolith Air bookshelf speaker has a sweet 5.25-inch driver and a folded ribbon tweeter. They sell for $200 each or $400 a pair. There is also a $300 Monolith Air Motion Cinema Center Channel Speaker that looks like it puts out rad sound. Also notable is a new stereo tube amp series that starts at $100 and tops out at just $140 for a stereo tube heaphone amp featuring a 24bit/96kHz USB DAC and Bluetooth. It’s nice to see Monoprice, a brand known mostly at the lower-end, venture into more high-end waters while still keeping the price sane.